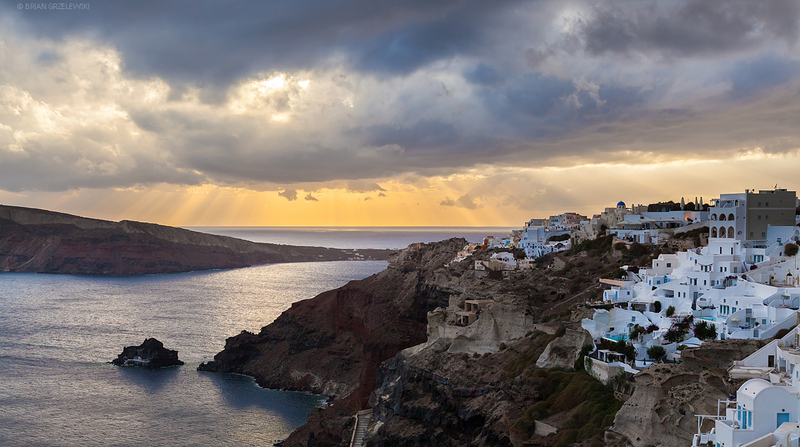 One of the best days for shooting in Santorini was when there was a huge thunderstorm the night before. The storm was loud and hard to sleep through. But, the next day, the clouds added a new dimension to all the scenes.